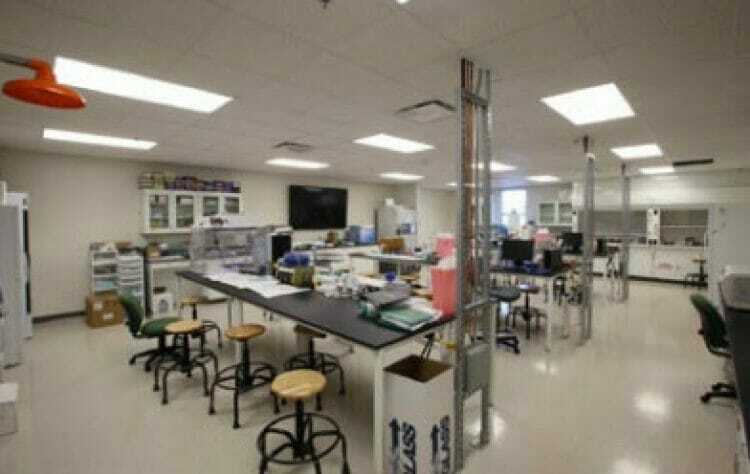 The university purchased the two 8,736 square foot facilities for use as teaching labs in the University’s Bio and Mechanical Engineering Departments. 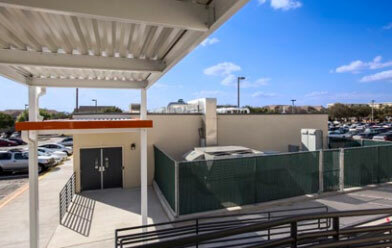 The modular school buildings each have a slightly different interior configuration, with the Bio Engineering facility using a five classroom layout while the Mechanical Engineering building incorporates one large classroom, three standard size classrooms, and restrooms that serve the faculty and students from both buildings. 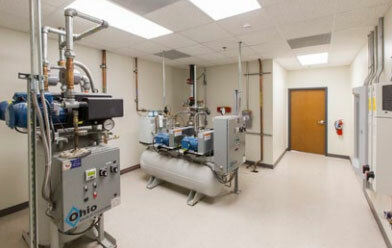 Both buildings have sprinkler systems to meet the required fire safety code, and their DX split mechanical systems were integrated into the University’s existing AAON HVAC equipment. 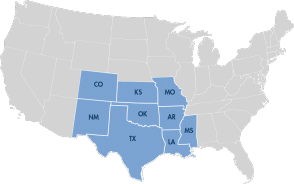 The modular buildings are installed on a semi-recessed grade beam foundation and utilize a corrugated metal finish exterior painted using an UltraCrete textured coating.